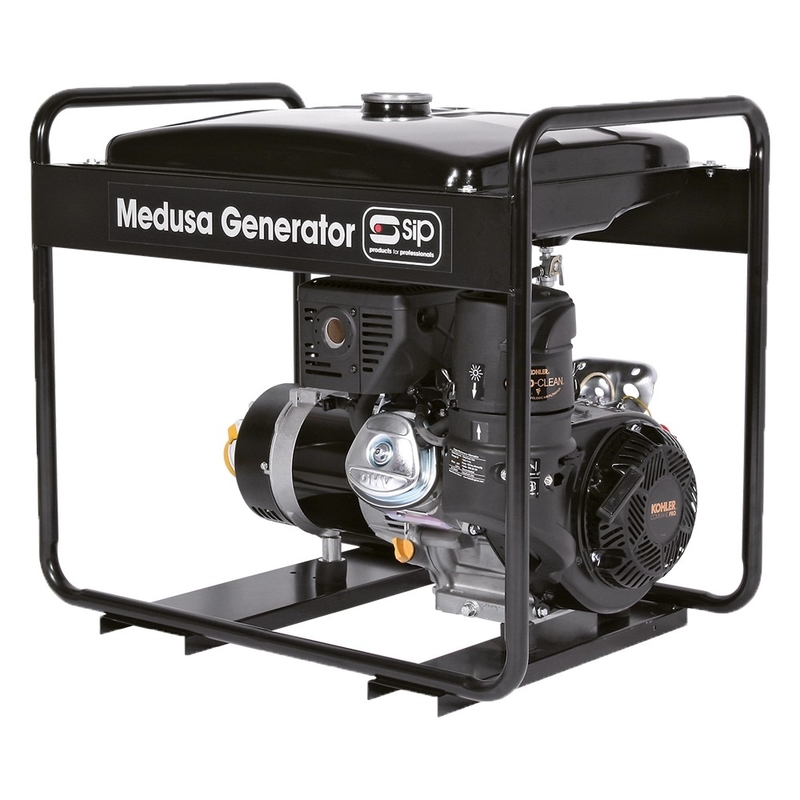 SIP MGKP4 Professional petrol powered generator is a robust and reliable machine comprising of a heavy duty maintenance free alternator, cast iron cylinder and rugged frame. Designed in the USA but constructed by SIP in the UK this machine boasts a fantastic 9.5 hp engine, backed by a 3 year engine warranty. With a 22 litre tank, long range and full frame build. With oversized mufflers, steel-forged crankshafts and Quad Clean heavy-duty cyclonic air cleaner.